Having the right tent and tarps can make your Camping experience much more comfortable while sleeping, cooking and hanging out at your campsite. After a long day of hiking and adventuring in the backcountry the one thing that you really look forward to is a good night’s sleep. For that you need a good tent like the Nemo Losi 3P. The criteria that we use to evaluate tents are: 1) floor space, 2) headroom, 3) stability in wind/rain/snow, 4) ease of setup/teardown, 5) ease of entry/exit, 5) weight and 6) price. The floor dimensions of the 3P are 91" x 79" (50 ft²) and the interior height is 48". The packed dimensions are 21" x 6.5" diameter and the total weight of the 3P is 6.5 lbs. Since the floor of the 3P is only made of 40D 1,500 polyurethane (PU) coated nylon we also use the “Footprint” 70D 10,000 PU abrasion resistant nylon fabric ground sheet under the tent. On trips that are potentially muddy or colder we also take our machine-washable brushed polyester “Pawprint” that covers the floor of the 3P on the inside. To top it all off, even though the 3P comes with a “Gear Caddy” with light pocket and multiple organizing compartments for one end of the tent, we purchased a second one for extra storage. One thing to note, because of the great ventilation in the 3P this is really a 3-season tent since the ventilation lets in the cold air in the winter. Or you can just take a warmer sleeping bag out with you in the winter and still use the 3P. You can buy this tent at Amazon; and the updated Losi LS 3P. It always seems like the places we end up pitching our tent either have twigs, sticks or rocks on them. Since the floor of the Nemo Losi 3P tent is made of 30D PU Nylon we normally put our 3P “Footprint” ground sheet under the tent for added protection. 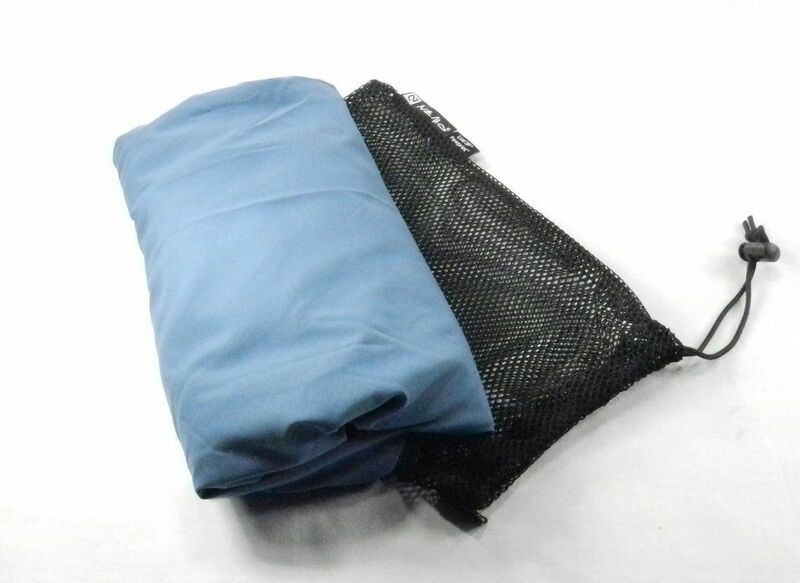 Since the Footprint is made from 70D abrasion resistant nylon fabric it protects the tent floor from rips and wear and tear against the ground, provides an extra layer of vapor barrier protection from the ground and helps increase the life of the tent. The fabric is polyurethane (PU) coated for waterproofness (10,000 mm); meaning that the fabric will withstand a 10,000mm (33 feet) column of water for more than one minute before a single drop might appear through the fabric. 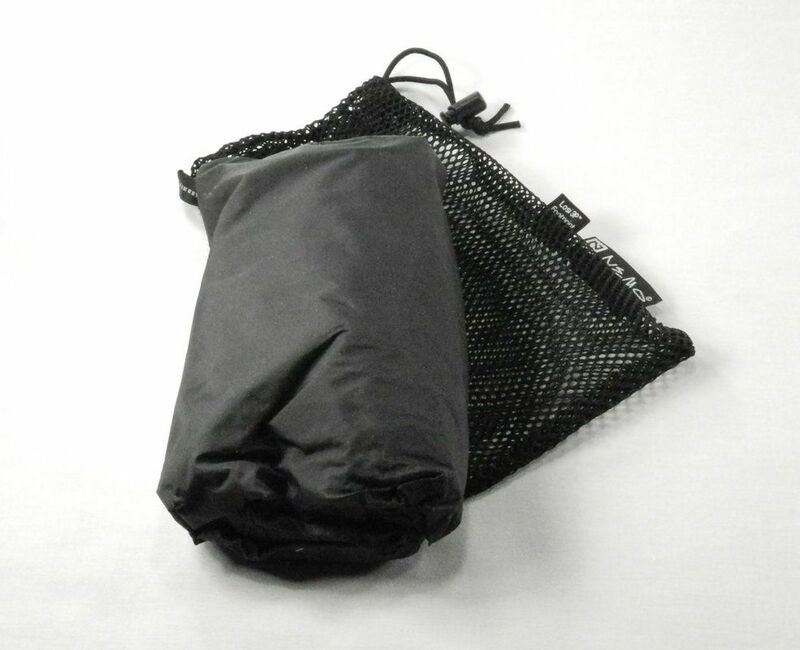 The Footprint only weighs 13 ounces and packs compactly into an included mesh bag. You can buy the Losi 3P Footprint at Amazon. To protect our tent from mud, and to make the inside floor a little warmer on cold days, we often use a Losi 3P “Pawprint” when we are out camping. 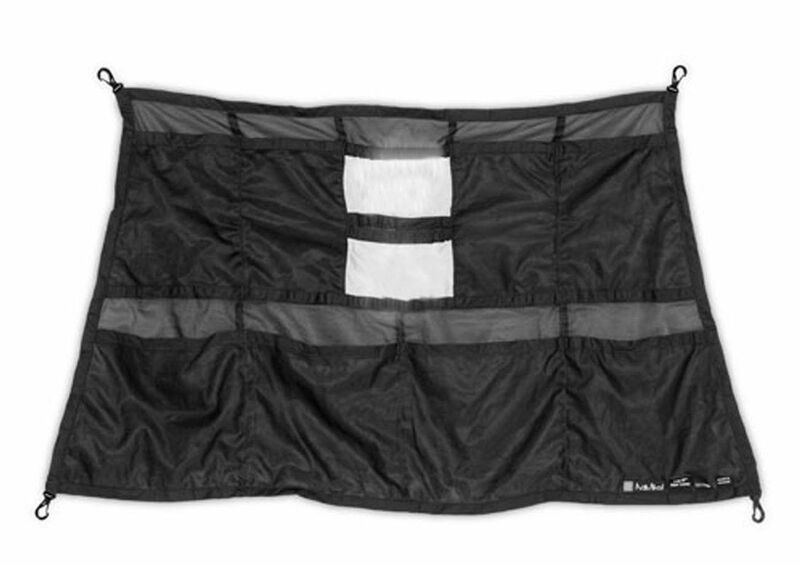 The brushed polyester Pawprint lines the inside of the tent with a soft, machine-washable fabric that keeps the floor safe from boots, paws, dirt, mud and dirty feet. On warmer nights the Pawprint can even be used to sleep directly on if you put your sleeping pads under it to keep them in place. The Pawprint only weighs 1.3 pounds and easily packs into an included mesh bag. You can buy the Losi 3P Pawprint at Amazon. Although the Nemo Losi 3P comes with a gear caddy we purchased a second one so that we have storage spaces at both the head and the foot of the tent. Each gear caddy has 8 gear pockets and 2 light pockets. The gear pockets are perfect for holding books, flashlights, socks, and other odds and ends that you might need during the night or on a rainy day. The light pockets diffuse light from your headlamp or flashlight to cast a more even glow over the whole tent. The gear caddy weighs 2.3 ounces and snaps directly into fittings inside the tent. You can buy the Losi 3P Gear Caddy at Boundary Waters Catalog. 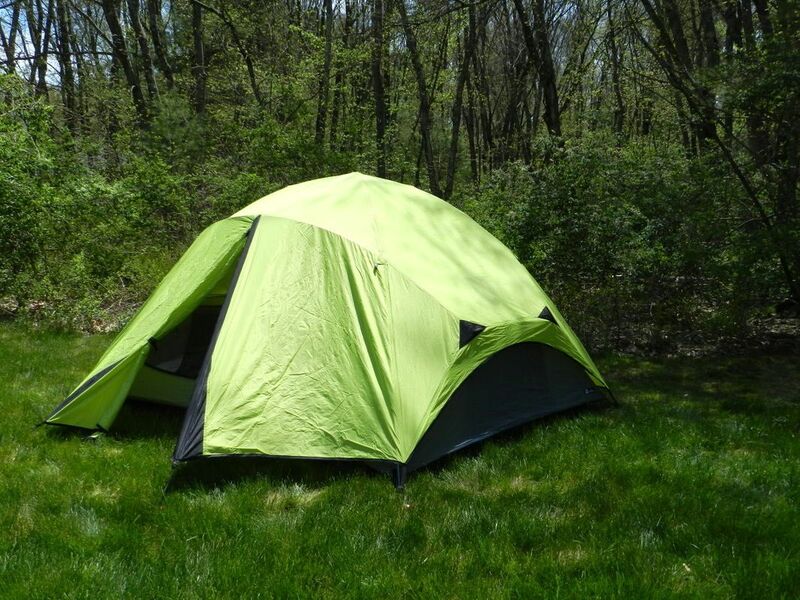 Prior to buying our Nemo Losi 3P tent a few years ago we spent years camping in a more traditional tent that was purchased from JCPenney when they had a much larger presence in the outdoor/sporting goods market. Rather than get rid of the tent when we bought the 3P we kept it and now use it as a backup tent for additional people or gear. Although it is not as cool as the 3P, when we have lots of packs and other equipment it sometimes feels good to put the people and sleeping bags in one tent and the backpacks and other gear in the backup tent. 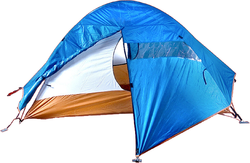 Since this tent is 5’ x 7’ x 4 ¾’ it offers lots of room for gear or people. The tent rolls up to 23” x 6” for carrying. The pain caused by the extra weight of carrying the tent is offset by having a great night’s sleep in an uncrowded 3P. You can no longer buy this tent, but you can certainly buy a less expensive backup/second tent at Amazon if you need one. Although most people focus on their tent for cover we find that you also need protection from the sun, wind, rain and snow during the day while you are at your campsite. To solve this problem we take a tarp with us when camping. The criteria that we use to tarps are: 1) size, 2) strength, 3) material durability and 4) weight. Since tarps can “sail” if it gets windy we always check the strength of the material to make sure that a windy day won’t shred it. 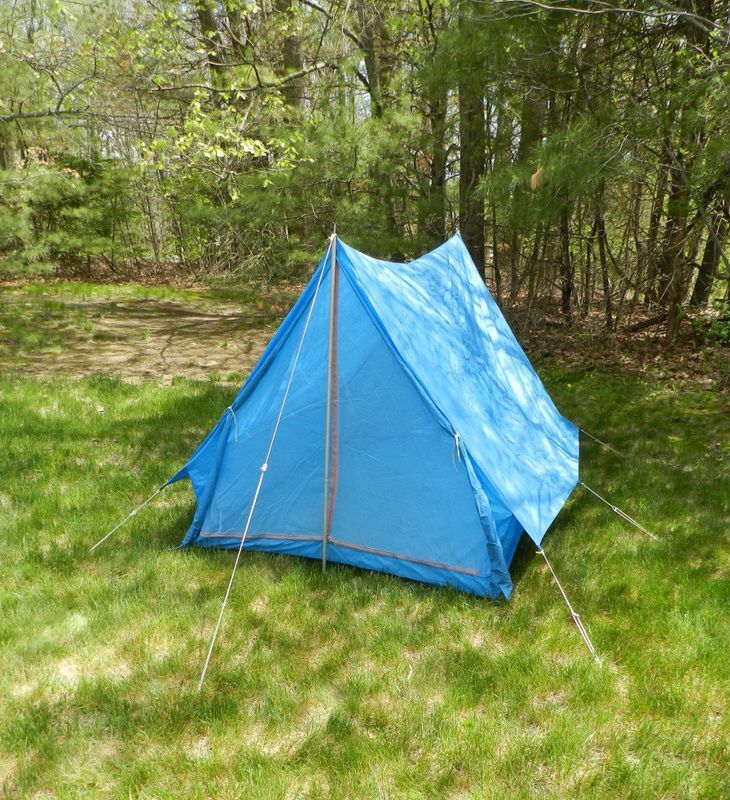 For our purposes we find that a 5.5’ x 7.5’ tarp provides sufficient cover for our camp in normal conditions with 3 or 4 people in the camping party. You can buy this small tarp at Amazon. When we camp with a party larger than 3 or 4 people, or when we are going to be out for a few days we take a 10' x 12' tarp instead of our 5.5’ x 7.5’ tarp. This allows us to shade/protect a larger area, safely store more wood and supplies in a dry area and relax without stepping on each other. 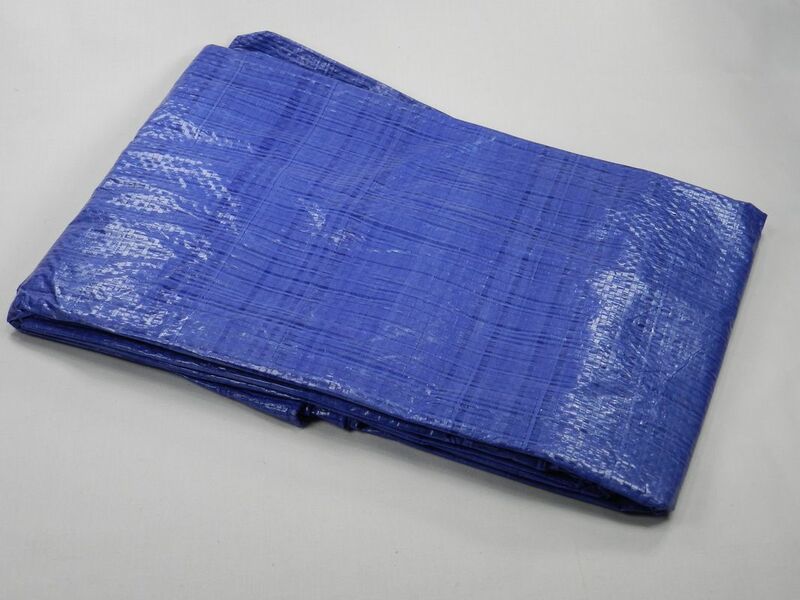 As with our small tarp the criteria that we use to tarps are: 1) size, 2) strength, 3) material durability and 4) weight. With a larger tarp you need to specifically check the material that is made out of since the wind will treat it even harsher than a small tarp. You can buy this large tarp at Amazon. When setting up your camp and tarps we find that strong paracord is invaluable. 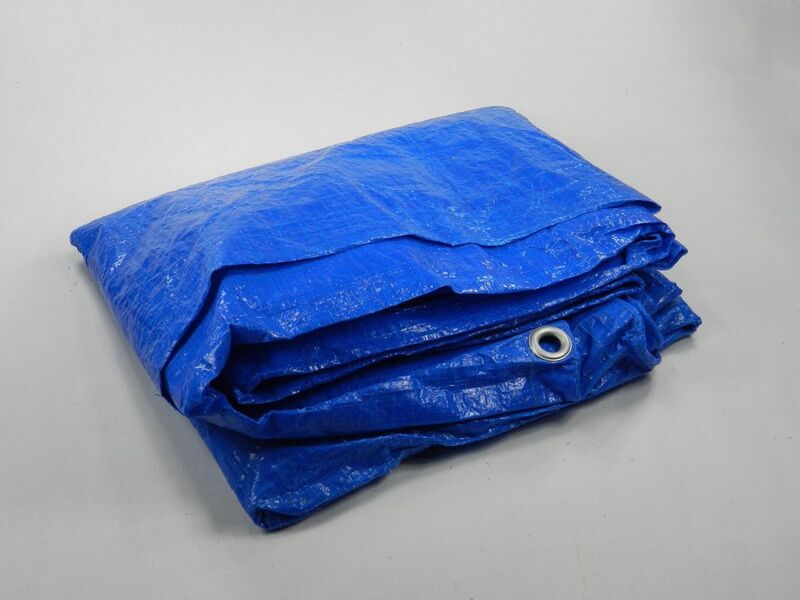 Setting up a tarp with cheap string is a mistake that will surface at the worst time when the weather turns bad and the wind breaks it – just when the tarp will do you the most good. 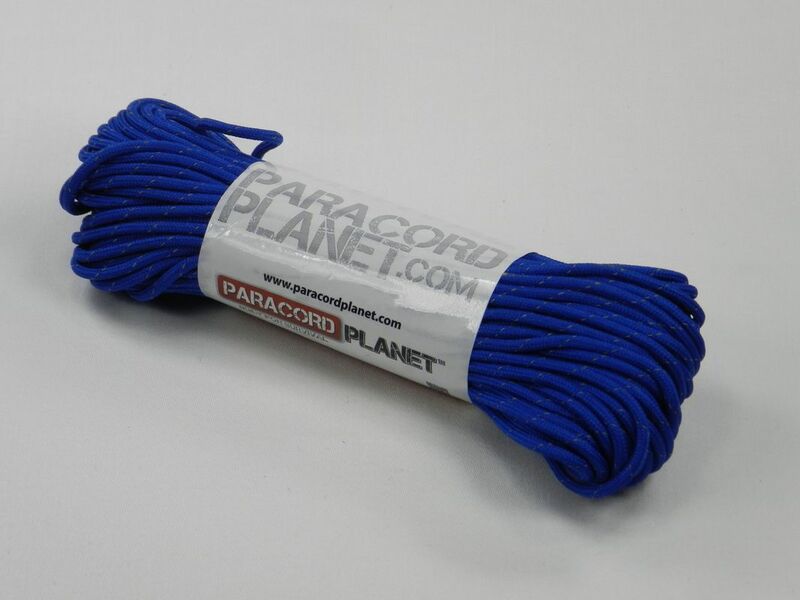 The criteria that we use to evaluate paracord are: 1) strength, 2) visibility and 3) price). We like the Paracord Planet Reflective 7-strand 4mm 550LB with Reflective Tracers because it is strong enough to hold 550 lbs and the reflective tracers woven into the cord make it easy to see at night; and no one likes tripping over tarp ropes in the dark. You can buy this paracord at Amazon. Even though you can just tie knots in your tarp ropes we find that using guyline cord adjusters is an easier way to keep the various ropes tight as the temperature, sun and wind fluctuates during the day. The criteria that we use to evaluate guyline cord adjusters are: 1) material strength and 2) ease of use. 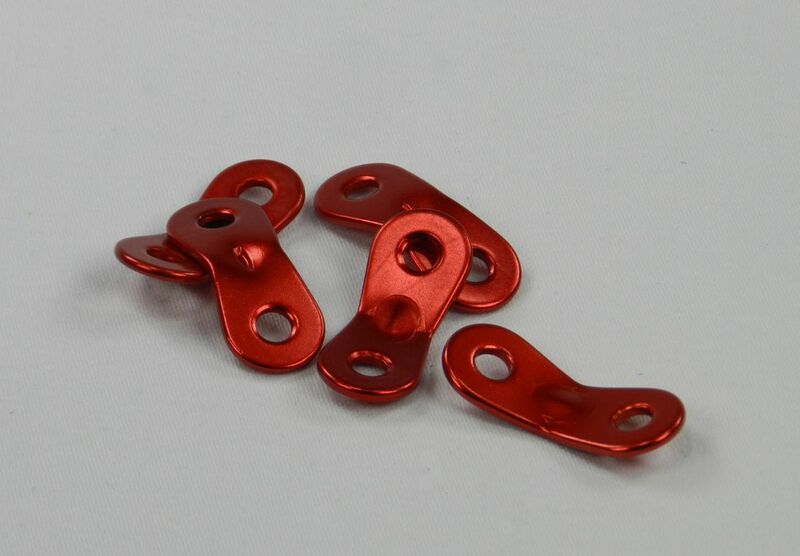 We like the Bluecell guyline cord adjusters because their anodized aluminum construction makes them strong but lightweight and their red color makes them easy to find when you want to adjust them. You can buy these guyline cord adjusters at Amazon.